President Franklin Delano Roosevelt became the first president to fly by plane in 1943. Since then, the evolution of presidential aircraft has produced some of the most impressive, secure and luxurious planes in history. 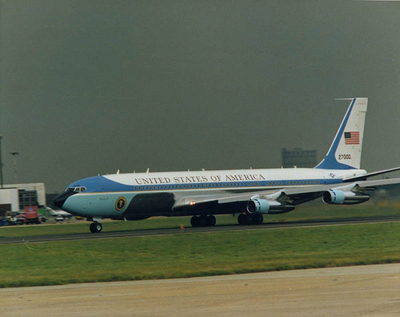 Although the name “Air Force One” was not coined until 1953, the first presidential flight took place 10 years earlier. In 1943, FDR flew to the Casablanca Conference in Morocco during World War II aboard a commercial Boeing Clipper flying boat. This plane, however, was not designed for presidential use. The first aircraft specifically designed to fly the president didn’t debut until 1945. 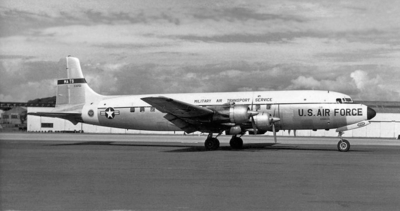 The aircraft was a Douglas C-54 Skymaster, nicknamed “Sacred Cow” by journalists. The plane had a range of 4,000 miles, housed four engines and could land at virtually any airfield in the world. It featured a conference room, a stateroom with a lavatory, a bullet-proof picture window and an elevator entry so FDR could access the plane by wheelchair. 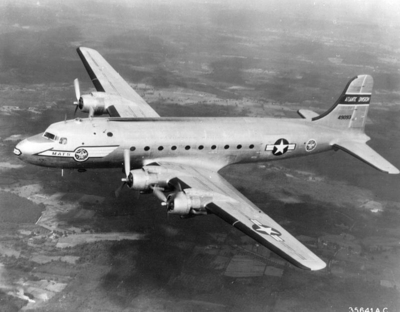 Independence remained the main presidential aircraft until 1953 during the beginning of the Dwight D. Eisenhower administration. The plane officially retired in 1965 and is currently on display at Wright-Patterson Air Force Base. Eisenhower’s first plane was a customized Lockheed C-121 Constellation, officially designated VC-121E and christened the “Columbine II” in 1953. 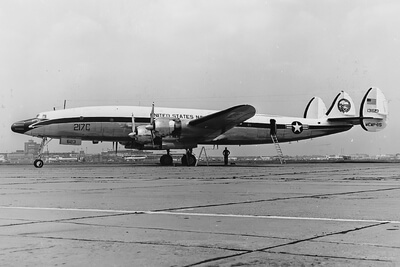 Its name was inspired by the official flower of Colorado – Mamie Eisenhower’s adopted home state – and Eisenhower’s personal army transport “Columbine I.” Columbine II was only in service for one year until “Columbine III,” a modified and super-charged Super Constellation, debuted. Columbine III retired in 1966 and can be visited at Wright-Patterson Air Force Base. 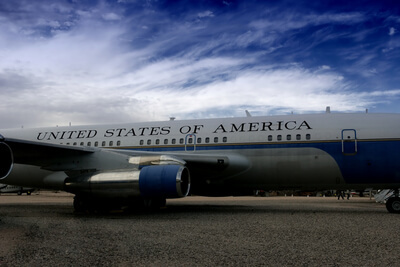 Though it was replaced as the primary presidential plane in 1962, it remained in the presidential fleet until 1996 when it officially retired. It is now part of the Museum of Flight’s collection in Seattle, Washington. Air Force One officially became the known call sign for presidential aircraft during the John F. Kennedy administration. 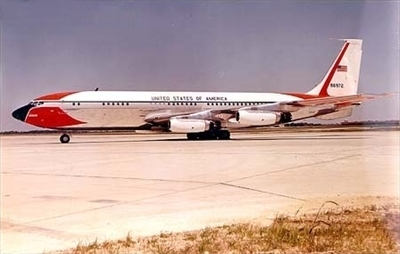 Kennedy’s plane was the first jet tailored for the president – another Boeing 707 officially designated VC-137C. Industrial designer Raymond Loewy designed the iconic blue and white color scheme and incorporated the U.S. flag and presidential seal on both sides of the nose. Lyndon B. Johnson was sworn in on this aircraft following JFK’s 1963 assassination in Dallas, Texas. The jet remained in service throughout the Richard Nixon, Gerald Ford, Jimmy Carter, Ronald Reagan, George H.W. Bush and much of the Clinton administration. Although its role as primary presidential jet was usurped in 1990, the VC-137C was not entirely retired from presidential service until 1998. It now resides at Wright-Patterson Air Force Base alongside several other retired presidential aircraft. The VC-137C’s sister craft joined the presidential fleet in 1972 and flew Nixon back to California upon his 1974 resignation. This aircraft retired in 2001 and is on display at the Ronald W. Reagan Presidential Library and Museum in Simi Valley, California. This plane was the iconic backdrop of the second 2015 Republican primary debate. 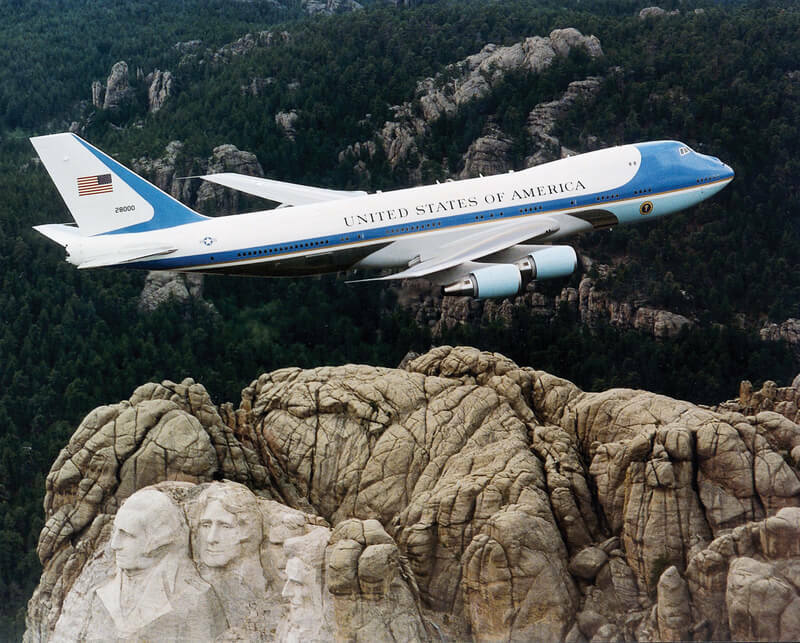 These planes were replaced by the current pair of Boeing 747’s as the main transportation for presidents in 1990. If you have a passion for aviation but aren’t sure how to begin a career in the industry, Aviation Triad can help. Our services can connect you with the educational opportunities and resources you need to get started on an exciting career in a cutting-edge industry. Contact us today to learn more about how to begin your aviation career.